The beauty of The General has been enhanced by maintenance improvements at Eagle Ridge. GALENA, Illinois – Let’s make this perfectly clear. I’ve always enjoyed visiting Eagle Ridge Resort & Spa. I’ve been there many times – and for various reasons – over the last 35 years. It had been four years since my last visit, though, and this time things were different. That’s different, as in better. It all boils down to a series of developments starting in 2013 when Capital Crossing acquired the facility, which has long been the premier golf resort in a state that doesn’t have enough of them. Capital Crossing brought in Texas-based Touchstone Golf to manage its 63 holes and Mount Prospect-based Bricton Group to manage the resort. 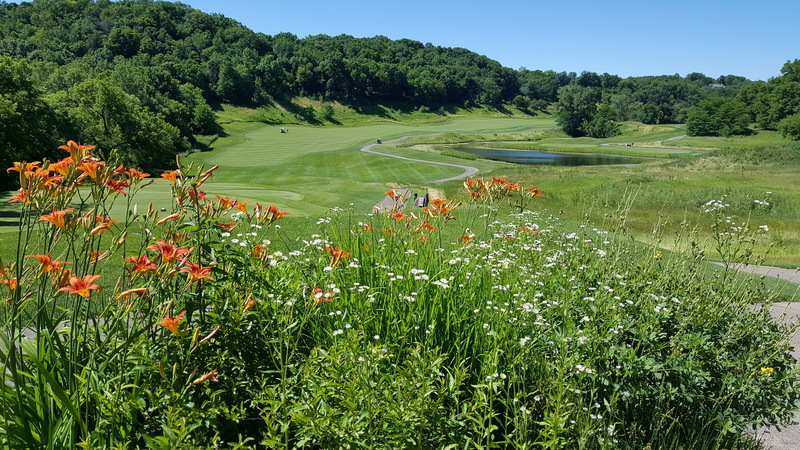 Touchstone manages courses in 10 states but Eagle Ridge is its only facility in the Midwest. The bulk of Touchstone’s 36 properties are in California (16) and Texas (7). Steve Harker, formerly with American Golf, started the company in 2005. His team now includes Mark Luthman who — as regional director of operations for Chicago-based KemperSports — was a leader in the planning, pre-opening and operations of Oregon’s Chambers Bay, site of the 2010 U.S. Amateur and 2015 U.S. Open. Luthman is Touchstone’s executive vice president and chief operating officer. There’s few more memorable tee shots than from the No. 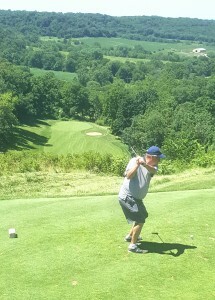 14 tee at The General. Bricton, a major hotel management group, is headed by president Ed Doherty – a former Evans Scholar. Touchstone and Bricton combined to form Brickstone, the firm that oversees Eagle Ridge’s total operation. The first order of business was to address the shortcomings on the golf side. The resort’s website alludes to “renovation’’ work done on its three 18-holers – The General and the North and the South courses – as well as the nine-hole East course. That’s a bit misleading. 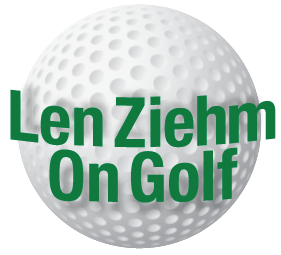 Renovations generally connote total revamping of a course and usually include design changes. That wasn’t needed at Eagle Ridge. All four courses were designed by one-time Chicago-based architect Roger Packard, with two-time U.S. Open champion Andy North helping out on The General – the showcase course. All four courses are blessed with the “wow factor’’ thanks largely to the elevation changes throughout the 6,800-acre property. Reagan Davis, Eagle Ridge’s director of golf, is also a noted collector of golf memorabilia. The North opened in 1977, the South in 1984, the East in 1991 and The General in 1997. I played in the grand opening outings at both the South and The General, so I can spot any changes in them and the East is a long-time favorite with its straight-down tee to green shot at the par-3 second hole. You don’t forget playing a hole like that one, just like you don’t forget teeing off at The General’s elevated No. 14 tee. There’s a 14-story drop to the fairway on that par-4. Anyway, while Packard’s designs remained intact, the work done since Touchstone arrived has still been extensive. 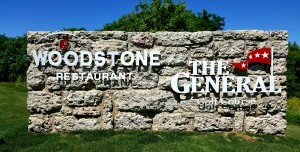 The new Woodstone Restaurant now shares top billing with the course at The General. Davis estimates that $700,000 was spent on cleaning up the courses, and I found The General and the North – the two that I played on my most recent visit — in the best condition they’ve ever been in. In the process playing experiences improved, especially on the super challenging General. “It speeded up play,’’ said Davis. “We picked up 35 minutes of time (per round). On a busy day a round might have gone 5 hours 25 minutes before. Now it’s more like 4 hours 30 minutes, and rounds are rarely over 5 hours. 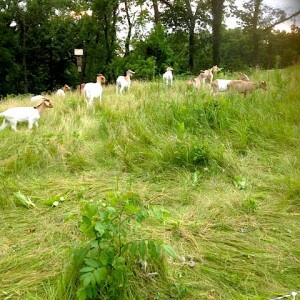 Thirty goats perform an important role in course maintenance at all the Eagle Ridge courses. Davis’ arrival solved an immediate problem on the Eagle Ridge golf calendar. The Illinois PGA had pulled its final major tournament of the season out of the resort because it didn’t have a Class A professional. Losing its biggest tournament was not a good thing but Davis had been assistant professional at Camelback Inn and director of golf at Troon North – both upper echelon destinations in Arizona. 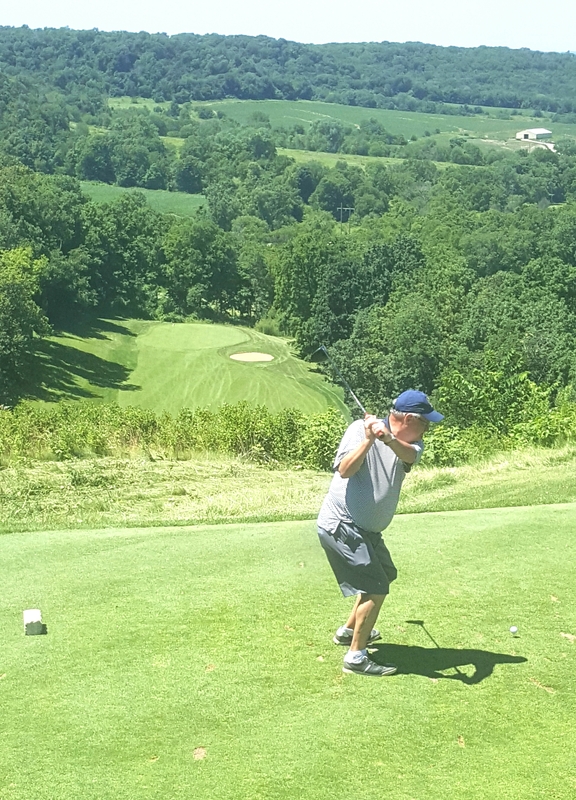 Thanks to his credentials – Davis is in his 25th year as a golf professional and his 20th as a PGA of America member — and enthusiasm, the Illinois PGA Players Championship returned to Eagle Ridge in 2015 after being played at Metamora Fields in 2013 and 2014. It’ll also be played at Eagle Ridge this fall and Davis sees it as back home for a much longer run. Davis brings more to the table than that. His older brother Joe was a golf professional and that led to Davis developing connections with PGA Tour players. 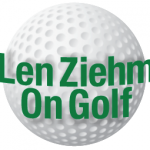 Craig Perks, who once won The Players Championship, and Mike Heinen, a former champion at the Shell Houston Open, were college teammates at Southwestern Louisiana. Before playing collegiate golf Davis developed a long-time friendship with PGA Tour mainstays Jay and Lionel Hebert. 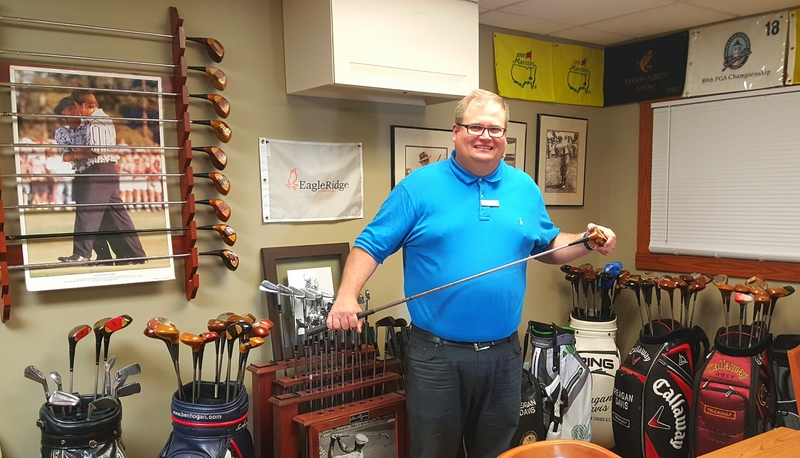 That led to Davis becoming a collector of vintage clubs and other golf memorabilia, all of which is on display for those lucky enough to visit his bottom floor office at The General. There has also been some notable additions on the golf side. Robbie Gould, a golf addict who doubles as a great kicker for the Bears, is now the resort’s golf ambassador. Gould hosted a clinic at the resort earlier in the spring and will don Eagle Ridge gear in his charity golf appearances throughout the summer. There’s some other newcomers as well – 30 goats. They’ve been brought in to roam the steep slopes where mowing equipment can’t be used. 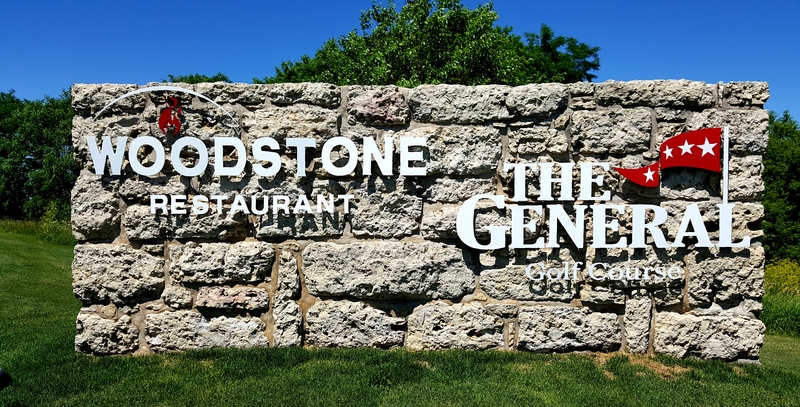 The Brickstone influence is evident beyond the golf side at Eagle Ridge. The lobby of the Eagle Ridge Inn has been completely renovated and upgrades have been made in the 200 homes on the property that are rented out. A room renovation, estimated to cost $2 million, is expected to begin this winter. As for the charming little town of Galena just seven miles away, it hasn’t changed much — and that’s a good thing. 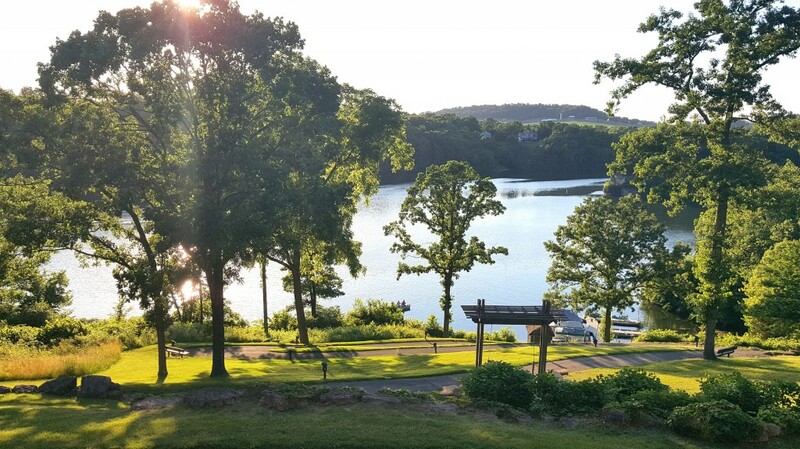 The resort offers all sorts of activities beyond golf and Galena and its neighboring towns only enhance that vacation atmosphere. Thanks to some tree trimming Lake Galena provides a great setting from the Eagle Ridge Inn.